Six-Day War, 50-Year Occupation — What Really Happened in June 1967? Aaron Mate: It’s the Real News, I’m Aaron Mate. June 5th marks the 50th anniversary of the 1967 war between Israel and neighboring Arab States. In six days of conflict, Israel captured the Egyptian Sinai, the Syria Golan Heights, and the West Bank and Gaza Strip. Except for the Sinai, Israel still controls all of those territories. In fact, the Israeli military occupation of the West Bank and Gaza is the longest in modern times. In this segment, we’re going to explore what happened in 1967. But this isn’t just a history lesson. The dominant narrative of 1967 is that Israel faced an existential threat, that it fought a defensive war, and didn’t want to occupy Arab lands. That narrative has been repeatedly used to justify Israel’s violence and repression in the occupied territories, so it’s important we get the history right and correct those who misuse it. My guest is someone who’s been doing that task for decades. Norman Finkelstein is a scholar, an author of many books on the Israel-Palestine conflict, and I’m very pleased he’s here with us. Welcome, Norman. N Finkelstein: Well thank you for having me, Aaron. Norman, that’s The Times saying that Israel “defied Annihilation” in ’67. What’s wrong with that picture? N Finkelstein: Well, what’s wrong with it is it never happened, and that’s usually a big problem. It’s called “falsifying history.” The record’s very clear on 1967, at least on the point that we’re now going to address. The United States had multiple intelligence agencies monitoring the situation between Israel and its Arab neighbors, probably close to a half dozen intelligence agencies and the US administration under Lyndon Johnson was being kept abreast of everything that was happening there. Now the big question for Israel in 1967 was not whether they were going to prevail over the Arabs. They knew that was a done deal because they already had the dress rehearsal in 1956 when they conquered the Sinai in about 100 hours, and this is just a decade later and they know they are going to easily prevail. Their big concern was, how would the US react? In 1957, that decade before, the US acted rather harshly. Dwight D. Eisenhower gave Israel an ultimatum: Get out or else. Meaning, get out of the Sinai or you’re going to face a strong reaction from the US Government. The Israelis were afraid there was going to be a repeat of ’57 in ’67. N Finkelstein: The Secretary of Defense at the time was Robert McNamara and in the internal discussion, he predicted the war would last between seven to ten days. Later on, he would boast how close his estimate was. In fact, the war was over not in six days, the war was over, really literally, it was over in about six minutes. The moment Israel launched its Blitzkrieg strike and flattened the Egyptian Air Force, which was still on the ground, then the ground troops had no air support. It was over. The only reason it lasted six days is because they wanted to grab territory. It was a land grab. Aaron Mate: Okay, but the narrative that we’ve heard over 50 years, I learned this in Hebrew School, in Sunday School, and at my Jewish summer camp, was that Israel faced an existential threat and it fought a defensive war. So let’s go through some of the key points that are used to advance that argument. Since you mentioned Nasser, let’s start with him. He did order the withdrawal of UN troops that were stationed on his side of the Egyptian-Israeli border. That’s often cited as evidence that he was preparing to attack Israel. Aaron Mate: Who was an Israeli General. N Finkelstein: He was the leading figure in ’67, and then he became under Begin the Foreign Minister, when Begin came to power in 1977. But in 1976, Moshe Dayan, he gave an interview and he said, “I’ll tell you why we had all of these conflicts with Syria. There was a demilitarized zone formed after the 1948 war, between Syria and Israel. So what happens in this demilitarized zone?” Dayan said, “At least 80 percent of the time, probably more, let’s just limit ourselves to 80 percent of the time, we would send bulldozers into this demilitarized zone, because Israel was engaged in a land grab.” It was trying to get land inside the demilitarized zone. It would send in bulldozers, the Syrians would react, and then it would escalate. In April ’67, it escalated into a dog fight between the Syrians and the Israelis. After that, Israel start to threaten, verbally, that it was going to launch an attack on Syria. Many Israeli officials, the most famous statement came from at that point Yitzhak Rabin, but many Israeli officials were threatening Syria. It happened that the Soviet Union got wind of the Cabinet meetings going on in Israel. In mid-May, the Cabinet made a decision. We’re going to attack Syria. The Soviet Union communicated that knowledge to the neighboring Arab States. In the official history, it’s called the false alarm, that the Soviet Union invented this imminent Israel attack. Aaron Mate: When you say, “the official history,” the history that we’re often taught and hear about in the media, yeah. Aaron Mate: Well let me quote one, actually. Aaron Mate: The Secretary General. N Finkelstein: Excuse me, yes. The UN Secretary General. 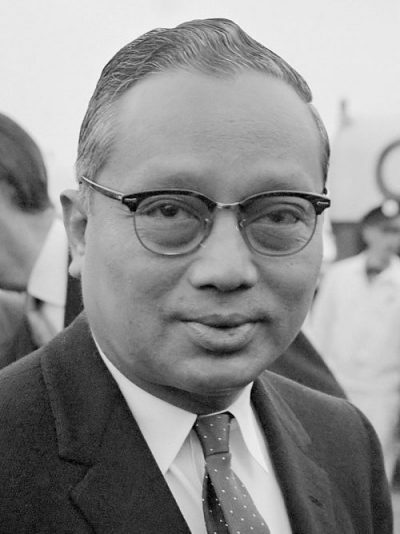 He asked UN Secretary General U Thant to remove the UNEF, the United Nations Emergency Force. Under the law, U Thant had an obligation to remove those forces. Now, U Thant was very viscously attacked for that decision. In fact, it wrecked his term of office in the United Nations, because everyone blamed him for the ’67 war. It’s all forgotten now, but that’s what happened. But there was a simple answer. There was a simple response. Aaron Mate: Put them on the Israeli side. N Finkelstein: Yeah, because in 1957, when the UNEF was installed, the agreement was it was supposed to be on both the Egyptian side of the border and the Israeli side of the border. 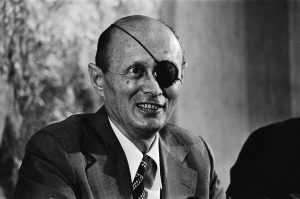 So in ’67, once Nasser says, “Remove UNEF from our side,” all Israel had to say was, “Fine, we will reposition it on our side of the border,” meaning the Israeli side. They didn’t do that. If the UNEF really could have averted an Egyptian attack, which is what Israel suggests when it said U Thant committed this monumental blunder by removing it, why don’t you just put it on the other side of the border? Aaron Mate: Let me go on then to the other reasons that are cited for Israel launching the war. You had guerrilla attacks coming onto the Israeli side from both Jordan and Syria. Aaron Mate: Those are described in the official history as a major threat to Israel’s security. N Finkelstein: In ’48. These were refugees. Remember, it’s a short time between ’48 and ’67. It’s within a generation. But the record is these commando raids were extremely ineffective. One of the heads of the Israeli intelligence, Yehoshafat Harkabi, he described him after ’67 as by any standard very unimpressive. Aaron Mate: Okay, the other main historical incident that is cited is Nasser closing the Straits of Tiran. Aaron Mate: So UNEF was removed from Sharm El Sheik. N Finkelstein: Yes. It’s basically the same area. N Finkelstein: That was the waterway to Eilat, the Israeli port city of Eilat. Well what do you make of that decision? Aaron Mate: A famous Israeli diplomat. Aaron Mate: That just days before the war breaks out. N Finkelstein: A few days, yeah. About a week before. Israel says, “No, we’re not going to the International Court, because Israel wants the right to do as it pleases, when it pleases. You don’t go on an equal footing with an Arab to the International Court of Justice. That’s just not the way things work here. We’re in charge.” So it wasn’t a significant waterway. The only significant commodity entering was oil. They had significant supplies of oil. The waterway wasn’t closed. Nasser offered to take it to the International Court of Justice to adjudicate. This is not the technical language, this is not a casus belli, a justification for war. Then there’s a separate legal questions, which is, under Article 51 of the UN Charter, you’re only allowed to launch a preemptive attack if there is an armed attack against you. Closing a waterway is not an armed attack. That should have gone to the Security Council. So there are 1,000 reasons, you know, it’s a layered question, but in every count, Israel had no case. On every count, it had no case. Aaron Mate: You touched on this a little bit, but maybe if you can go into more detail: Why did Israel go to such extraordinary lengths to launch this war and take over so much territory? What was their motivation? Aaron Mate: Third World solidarity, yeah. N Finkelstein: … anti-imperialism, decolonization, and the emblematic figures were Nehru in India, Tito in Yugoslavia, and Nasser. The three of them were not officially the Soviet Bloc. They were a third force. N Finkelstein: Non-aligned, exactly. The non-aligned tend to lean toward the Soviet Bloc because the Soviet Bloc was officially anti-imperialist, but it was non-aligned. 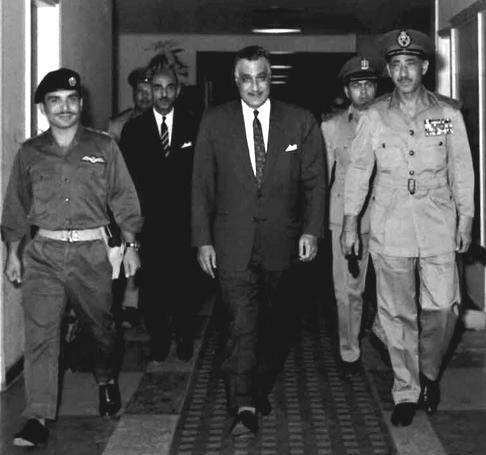 Nasser was one of the dominant figures in that period, so he was anti-imperialist, he was a modernizer. Israel was seen, not wrongly, as a Western implant in the Arab World, and it was also seen as trying to hold back the Arab World. Aaron Mate: The Americans told them to knock it off, though. N Finkelstein: For several reasons not worth going into right now, the Americans told Israel to get out. Aaron Mate: They wanted it delayed, basically. Aaron Mate: It was time. N Finkelstein: … the time was right. N Finkelstein: But of course, they also wanted to get rid of Nasser. They all saw him as a pin prick at their side. So ’67 is basically just a repeat performance of 56, with one critical change. N Finkelstein: The US didn’t oppose it. They were very cautious and careful about how they worded it. Some people call it an amber light, a yellow light, some people call it the green light, but they didn’t openly support it, because it was illegal. N Finkelstein: You know, what Israel did. At that point, the United States was fighting a war in Vietnam which was very unpopular, and they didn’t want again to engage themselves supporting Israel, which would also seem like Western Colonialism trying to assert itself over the Third World, the non-aligned world, whatever you want to call it. The first goal was to knock out Nasser. That was a long-term goal, to keep the Arab World backward. To keep it in a subordinate, primitive state. Secondly, was what happened with the closing of the Straits of Tiran. Namely, Nasser was acting very uppity. He was challenging the Israelis. To some extent, he was goading them, I think that’s true. It was all hot air, and the Israelis knew it was hot air, but they thought, a very revealing phrase from one of the Cabinet meetings came from, at that point he was a Commander, Ariel Sharon. There were some members of the Israeli Cabinet who were still reluctant to launch an attack. He said, “We have to attack now, because we’re losing our deterrence capacity.” That’s a favorite phrase among the Israeli Military. N Finkelstein: “Deterrence capacity” means the Arab World’s fear of us, that Nasser was now whipping up the Arabs and they were no longer afraid. For the Israelis, the fear, the deterrence capacity, is a very strong card on their side, to keep the Arabs in their place. So the second reason was that they had to restore, as they call it, their deterrence capacity. The third, I would not quote the reason, all the generals had their own desires about wanting to get back some lands. Everyone was agreed they wanted to get Jerusalem, because they lost part of it in ’48. Large numbers of them wanted the West Bank, others of them wanted the Golan Heights, others wanted the Sinai, so there was a land grab element to the war. Aaron Mate: Okay, on that point, and a quick question as we wrap part one of this discussion. N Finkelstein: … but you have to remember that the Zionist movement was overwhelmingly secular, overwhelmingly atheist. In fact, large numbers of them consider themselves socialists and communists and had no truck with a religion. But they still felt they had a legal title to the land, because in their thinking, the Bible was not just a religious document, the Bible was a historical document, and historically, the Jews had been in Palestine, and it was theirs. It was the same mentality in ’67. It was secular, but it was also deep-seated and fanatical. The fact that they had a claim to the land didn’t make it necessarily in their minds a religious claim. It was a secular claim, but still a fanatical claim, that it was their land, because it says so in the Bible, and the Bible is a historical document, you know, for them the Bible is a historical deed. Aaron Mate: That’s going to wrap this part of the discussion. In the next part, we’re going to get into what changed for Israel after ’67 in terms of American Jewish support and also American government support, and how those two intertwined. 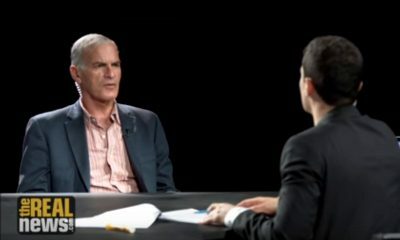 My guest is Norman Finkelstein. Join us in the next part of this discussion.